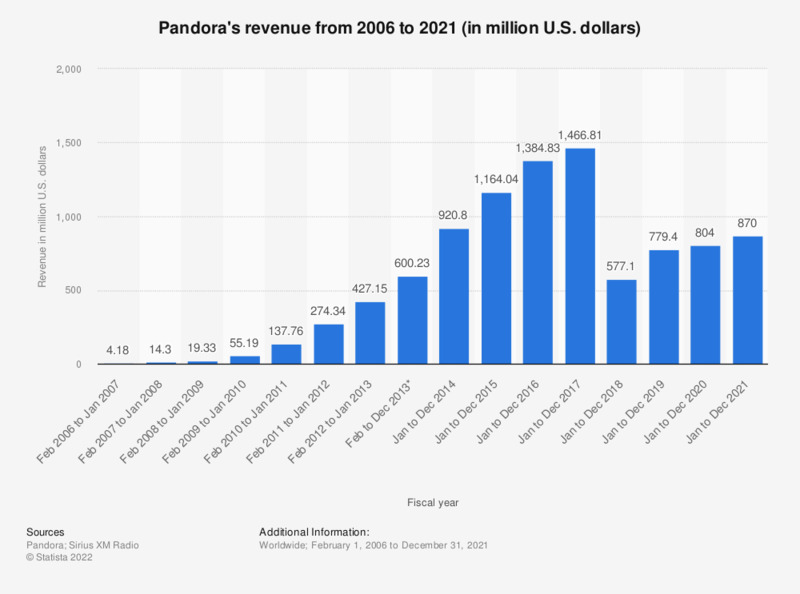 The statistic shows data on the revenue generated by Pandora Media, Inc. in the fiscal periods between February 2006 to December 2017. In the fiscal year which ended December 31, 2014, Pandora generated a total revenue of 920.8 million U.S. dollars. Here you can find out how much of the revenue is generated by subscription services and how much by advertising. Figures other than for 2016 and 2017 come from previous financial releases.